Billy Goat Trail on the Potomac ~ Learn, Live, and Explore! I may not be much of a hiker, but that doesn't stop me from doing it every once in awhile. 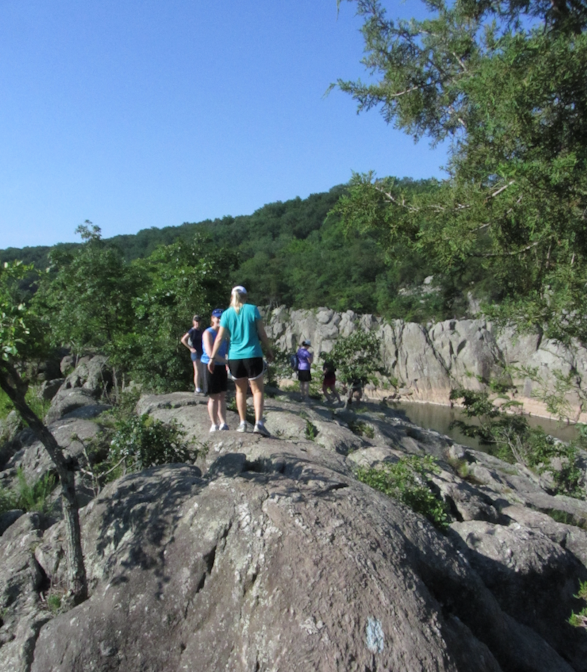 Plus, when the hike is close to home and has beautiful scenic views, what's wrong with that? 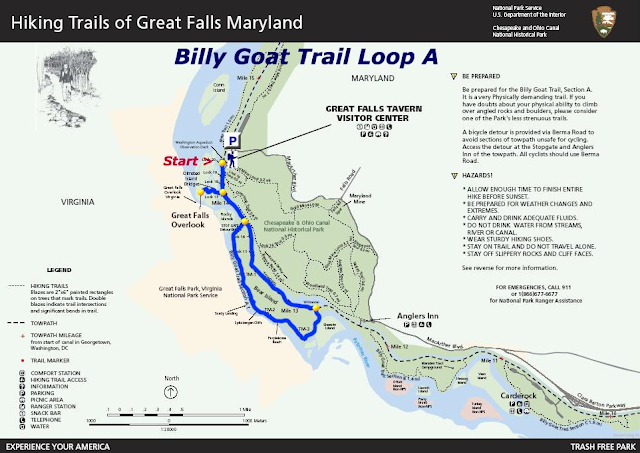 The trail I'm talking about is called the Billy Goat Trail, just a 25 minute drive northwest of Washington D.C., near Great Falls and the C&O Canal on the Maryland side of the river. 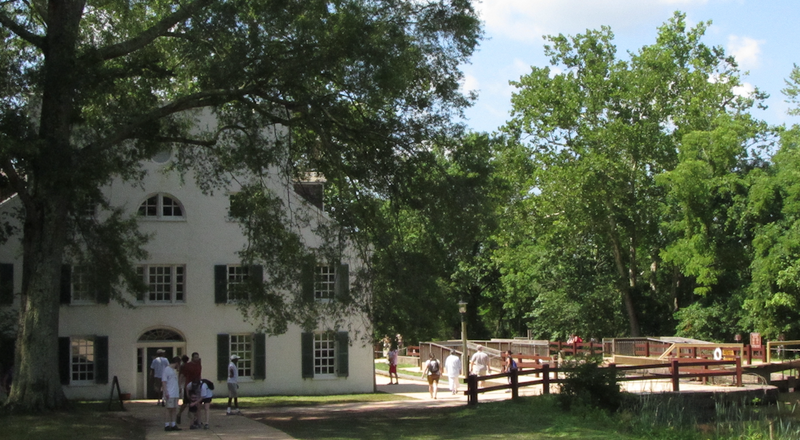 Starting at Great Falls Tavern Visitors Center, you can take a quick detour either before or after the hike to the Great Falls Overlook. Great Falls is a point in the Potomac River where the water quickly rushes over sharp rocks as it works its way through Mather Gorge. It's a popular spot in the river for kayakers and photographers alike. What I love about this hike is that it's not only getting out and getting some fresh air, taking advantage of a local natural treasure, but the spot is also rich in history. 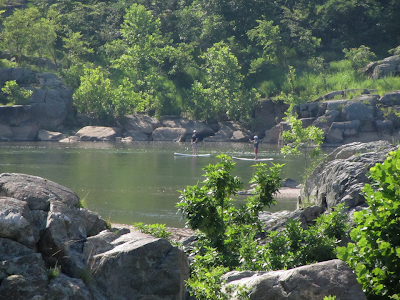 George Washington focused his post-Revolutionary War passion on the Potomac River as a potential trade route to the land west of the Allegheny Mountains, thereby further solidifying the new United States as one economy, one nation. The Potomac River was the shortest waterway route available to link the trans-Atlantic trade to the frontier goods moving along the Ohio River. 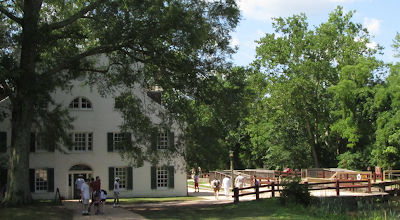 Washington convinced Maryland and Virginia to cooperate and form the Potowmack Company in order to formally engineer necessary improvements to the river to achieve his vision. Washington served as the President of the venture from 1785 until he was selected for the office of President of the United States. 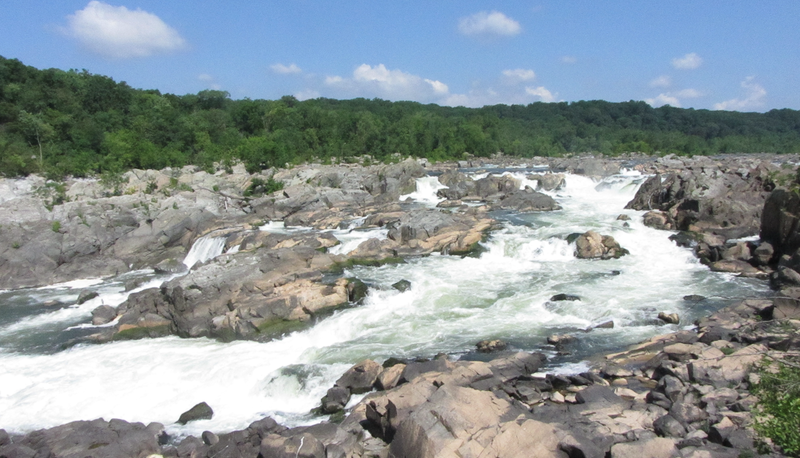 While the Potomac presented many challenges for its use as a waterway trade route - including varying water levels throughout the year and steep drops - one of its largest obstacles was Great Falls, just 10 miles from Washington D.C. To build a system of locks to compensate for an area of the river that falls 80 feet in less than a mile pushed the boundaries of physics knowledge and labor skills of the time. The result, after 17 years of hard work, was a series of five locks on the Virginia side of the river - three of which required the use of black powder blasting in order to gain passage through rocks. 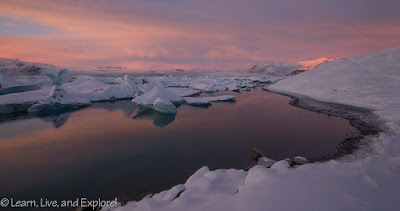 This venture also established an entire town next to the falls, Mathildaville, inhabited by construction workers and their families. Mathildaville was named after the wife of the founder and Alexandria native "Light Horse" Harry Lee, father of Civil War General Robert E. Lee. 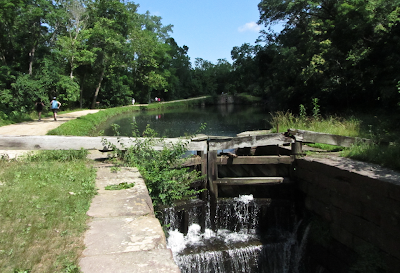 While the building of this canal provided a remarkable improvement to the movement of goods along the river, Washington's original vision was never complete as the canal proved to be too costly and the Potomac too uncooperative -- with water levels only making the canal usable a couple months of the year. 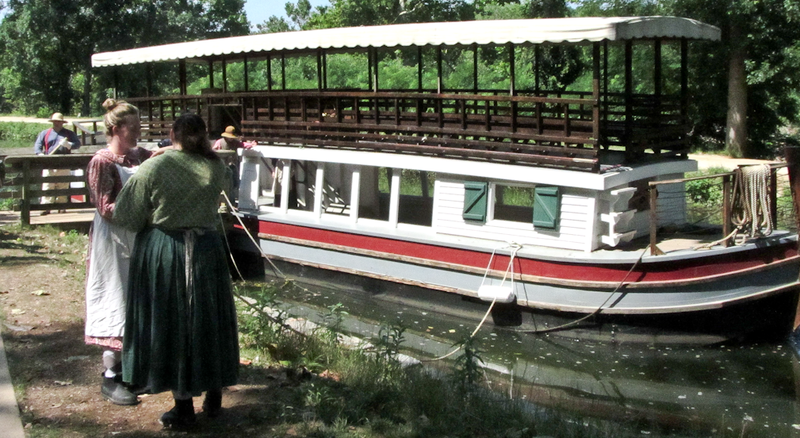 In 1828, the Potowmack Company was acquired by the new Chesapeake and Ohio Canal Company, who decided to abandon the Virginia canal in favor of starting over on the Maryland side with a canal that begins in Georgetown and ends in Cumberland, Maryland, thereby sealing the fate of Mathildaville to a path of abandonment and ultimate demise. 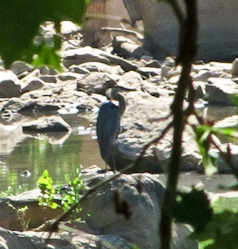 The C&O Canal remains today as a link to our nation's past, and the Billy Goat Trail - Section A loops back to the starting point on the original C&O towpath that runs parallel to the canal. 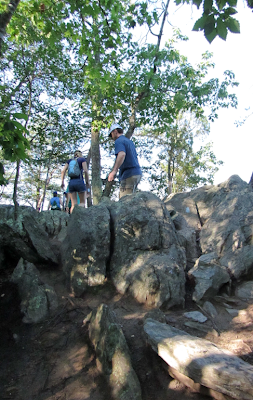 The Billy Goat Trail - Section A begins as an easy forested path, but once you get over near the Potomac River, you're climbing over and leaping from one rock to the next at most points. 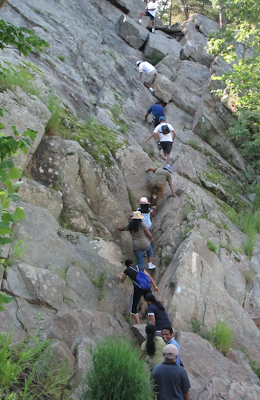 An unusual aspect of this route is that it actually includes an obstacle that requires you to climb up a rock face that's maybe 70 feet, but it's not that bad. There's a clear crevasse that leads you to the top. But for all your hard work you are rewarded with beautiful views that make you forget that you're actually close to a large, sprawling city that also serves as our nation's capitol! While the loop was only around 3.7 miles, it was not a quick hike. 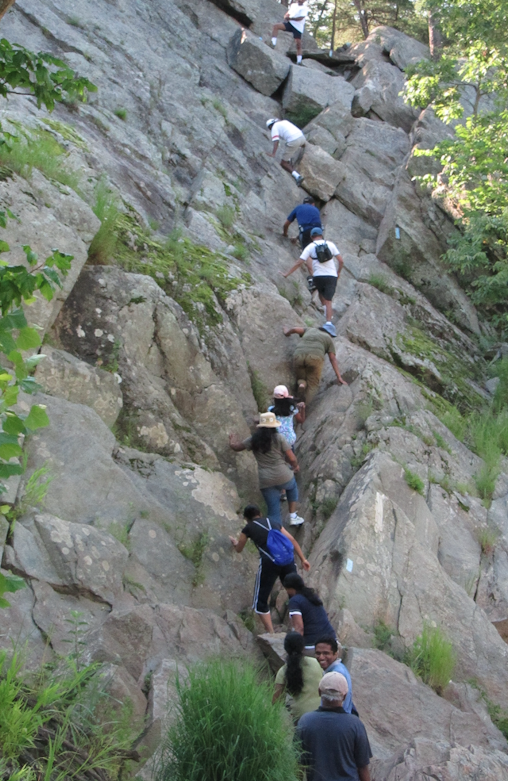 Due to the rough terrain, some stops for photos and water, and delays at the steep rock, it actually took our group about three hours to return to our car. So plan accordingly, start early, and bring water and sunscreen!